A Few Answers To Questions That Typically Arise About Roofing Repair & Installation. 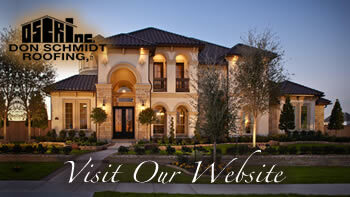 Home » Don Schmidt Roofing Blog » A Few Answers To Questions That Typically Arise About Roofing Repair & Installation. What are the costs of a new roof? Pricing of a new roof all depends on the type of material you select, whether or not you remove the old roof, the type of underlayment, the price of the permit and the complexity of the roof and of the job site. How long does it take to replace a roof? Re-roof or new construction depends on the type of roof, the weather and the inspections needed. Generally for a family home of 1,500 square feet it can take a few days. Don Schmidt Roofing and Contracting works to keep your hassles to minimum with re-roofing. If your question isn’t covered below please call us at 407.892.9884 or contact us here.